Last week’s article discussed the violence at Lake Chad as a result of extremist groups and transnational criminal organizations. This week’s article will take a brief look at U.S. involvement in the Lake Chad Basin region, specifically with the country of Chad. The U.S. provides military assistance to Cameroon, Nigeria, Chad and Niger — the four border countries of Lake Chad. According to Ben Taub, in his article Lake Chad: The World’s Most Complex Humanitarian Disaster, the U.S. in particular has spent “hundreds of millions of dollars on strengthening Sahelian security forces…” in an effort to combat the spread of violent jihadist groups throughout the region. 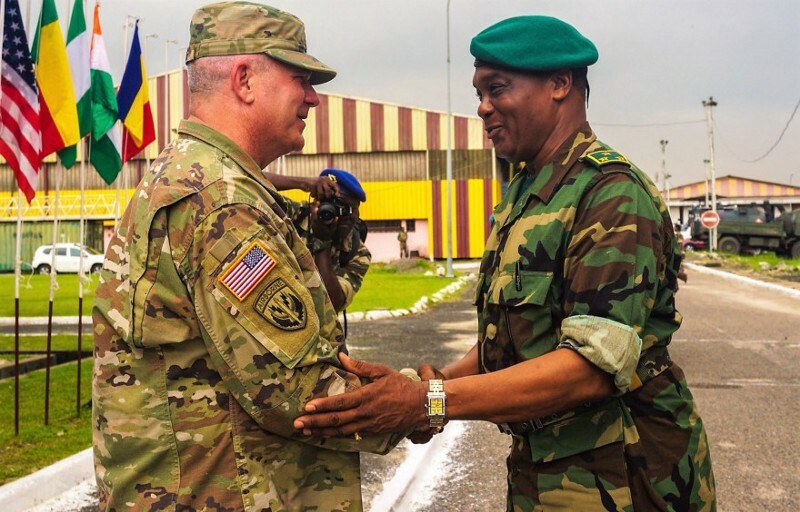 The U.S. also contributes $60 million to the G5 Sahel Joint Force and provides military intelligence and support to the Multinational Joint Task Force (MNJTF). On June 19–20, 2018, the Lake Chad Basin Directors of Military Intelligence Conference in Abuja, Nigeria, brought together senior intelligence officials, including the U.S. AFRICOM Director of Intelligence, to discuss cooperation in fighting violent extremism and strategy for implementing peace and security in the basin. In addition to military assistance, the U.S. government has also provided millions of dollars in humanitarian aid to the crisis in Lake Chad region in recent years. According to USAID, in fiscal year 2017–2018, over $760 million in funds were allocated to the complex emergency in the Lake Chad Basin. The strategic goal of building partner capacity is not without risk in its implementation. Chad is an excellent case study in how U.S. support can be a destabilizing force even with the best of intentions. In recent decades, the U.S supported the Chadian government as a counter to Muammar Gaddafi’s threats of expansion from the north. Gaddafi had sponsored numerous attempts to overthrow Chad’s leadership in his effort to create the Great Islamic State of the Sahel. In response to such ambitions, the U.S. worked to bolster the strength of Chad’s military forces. This started a trend of the U.S. backing leaders whose administrations were often corrupt and unable to provide for their citizens. Chad’s current president, Idriss Déby, has been very reliant on the support of Western countries in the wake of violent extremism spreading throughout Africa. As a buffer between surrounding extremist groups (ISIS, Boko Haram and Al Qaeda), Déby has been backed by the U.S., whose foreign policy is heavily focused on countering violent extemism (CVE). Déby’s disorderly rule is characterized by allegations of the misuse of his military, neglect of the Chadian people and the use of child soldiers. Despite these allegations, the U.S. has decided to maintain strong relations with Déby in the fight against violent extremism while continuing to “encourage Chad to advance good governance” (U.S. Department of State). In his article in the New Yorker, Taub draws a thought-provoking conclusion from the situation in Chad. “In Chad, the security-based approach mistakes the strengthening of Déby’s regime for the stabilization of the Chadian state. The strategy is a paradox: in pursuing stability, it strengthens the autocrat, but, in strengthening the autocrat, it enables him to further abuse his position, exacerbating the conditions that lead people to take up arms.” Taub makes an interesting point. As discussed in previous articles, ineffective governance and neglect of its citizens are commonplace in the countries of the Lake Chad Basin. Are Western countries and the U.S. working with what is available to stop violent extremism, or are they perpetuating the problems in the Lake Chad Basin that attract people to these groups in the first place? There is no easy answer as the U.S. navigates the narrow channel between the monsters of autocracy and violent extremism.